Mercedes designed the R-Class to be its roomy family van. It is safe, easy to handle and luxurious. Plenty of room and plenty of all wheel drive to get you wherever you’re going. 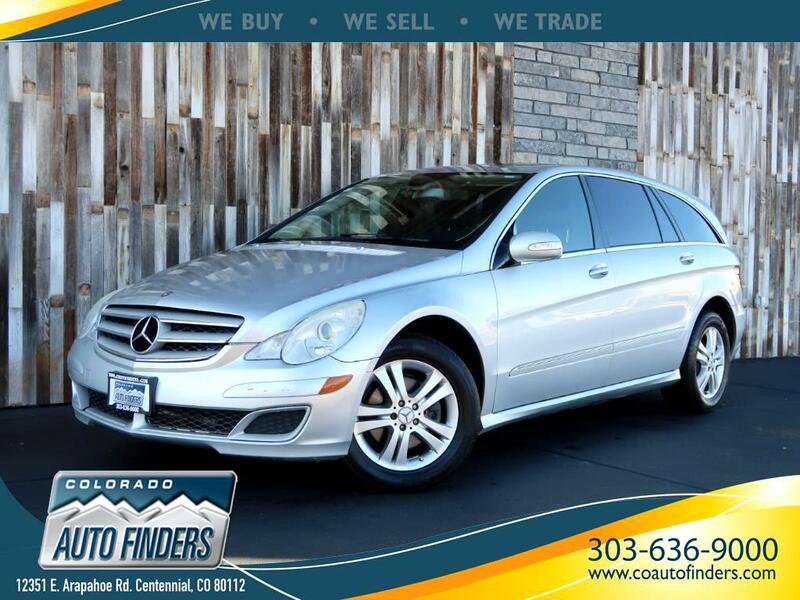 Clean CarFax with good service history, AWD 4Matic system, low miles (driven less then 8.5k miles per year), Sunroof, 3rd row seats are just some of the reasons to buy this R500. - Free! clean CarFax report. - Economical 5.0L V8 engine with 7 Speed Automatic transmission. - 4 wheel ABS, Traction control, many airbags. - Nice wheels with good tires. - Smooth, comfortable, safe and stylish to own & drive. - Call for more information & a test drive. - We offer a full spectrum of finance options low rates and terms up to 60 months. Yes, we do take trades. Message: Thought you might be interested in this 2006 Mercedes-Benz R-Class.